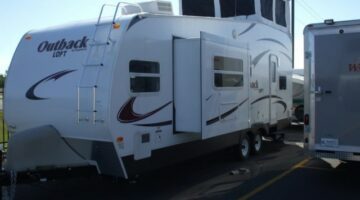 The Internet is a lifesaver for RVers who travel a lot! See how you can do everything online -- from forwarding mail to paying bills, getting healthcare, selling your RV, keeping RV journals & travel logs, mapping travel routes, pursuing fun hobbies, even making money online while traveling in an RV. Plus DIY RV computer desk ideas, RV office necessities, and must-have RV apps for fulltime travelers. 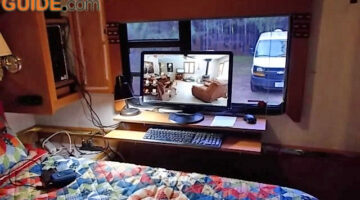 3 Must-Have RV Apps: These Make Life On The Road So Much Simpler! Here are the 3 best RV apps that every RVer should have. These are the best apps for iPhone and Android phones to make RVing so much easier! 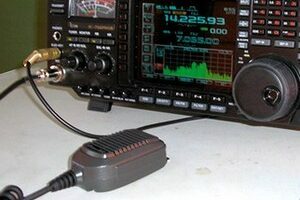 We explore all of the RV radio options that are useful when traveling: FRS radios, CB radios, and Ham radio. Plus tips from RVers on choosing the best RV radio for your needs. 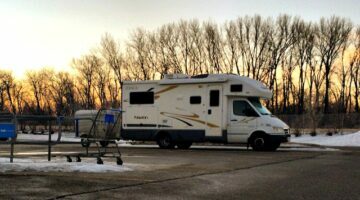 If you want to try fulltime RVing, but you still need to find a way to make a living, here are some things to think about. 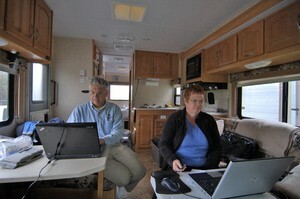 Here’s how it worked for us when we began our career as full time RVers. Full Time RVing: How Do You Forward Mail? Pay Bills? 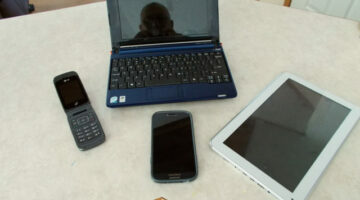 Get Healthcare & WiFi Internet Access? Some tips for taking care of business on the road. If you’re considering full time RVing, here are some things you’ll need to think about. Great tips for storing all of the supplies for your crafts, hobbies, and sewing inside your RV. Plus tips for working on your favorite projects within the small spaces typically found in RV travel trailers and motorhomes. Here is how IdleAire’s in-cab services work to provide you with things like hi-speed internet, TV, movies, air conditioning, electricity, and more — WITHOUT having to run the generator in your vehicle! You can find IdleAire at many truck stops.